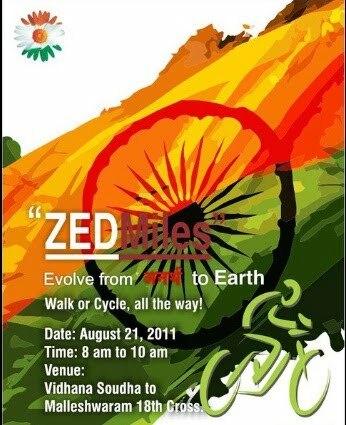 GoGreen Supporting ZED habbit's Cycling Event on 21Aug2011 & their after a rally 2 support Anna - GGI-Group size: 4000+ Professionals, Increasing on day to day basis, Come & join us 2 serve Mother Nature. 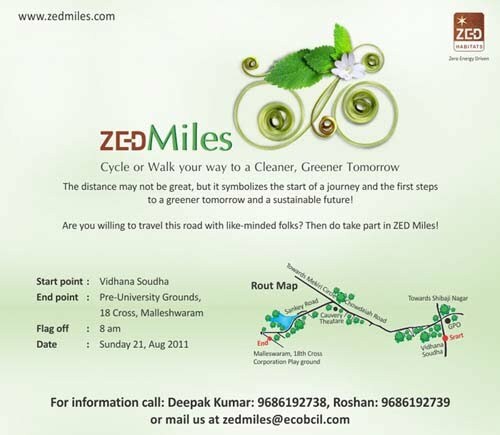 GoGreen is partnering to support an event hosted by ZED Habits. This is a Paid registration however GGI registration amount is sponsored hence will not be charged but pls go ahead and fill up the Registration forms ASAP and pass on the word to all u'r fellow colleagues..
18th cross Grounds to Freedom Park in showing our support to Anna and for own self ..